After gaining yet another new ability, Missy is seeking her proper balance back at West Point. The routine of studies, sports, duties...these all help her adjust - so do having friends and helping others. Of course, her life can't be that simple. 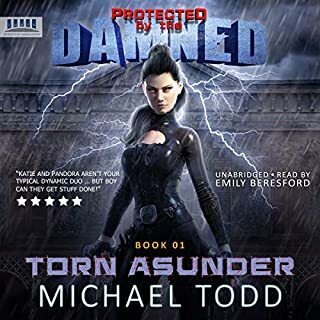 While the alliance between supernaturals and the government has proven itself, with the terrorists reluctant to attack and risk yet another failure, Missy is now being watched by enemy agents. They believe she is a demon! Will they learn enough to target the US once again? And, what about that spy the terrorists have working in Congress? Perhaps it's time for Missy to stop hiding what she can do. After all, such things can't be proven, and the world won't ever believe them, so let the enemy beware! 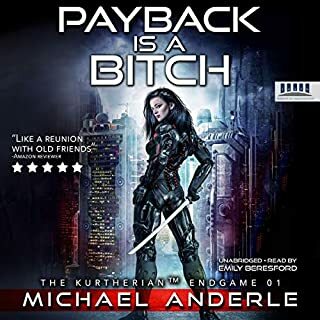 I got this ARC via audiobook boom and this is my voluntary review. This is another great addition in Missy's life. There were so many little plot twists that wrapped around Missy and her new roommate as well as the next assignment. I enjoyed the story and all of the secondary characters made it come alive. The narrator was good and did an excellent job. This is a great story for the mature young adult. Good story line and some fun characters. Narrator did a great job also. I've been enjoying this series quite a lot. Each book definitely builds on the previous one but still wraps up nicely without annoying cliffhangers. The author does a great job of making the story interesting and engaging. The narration is fantastic. Summer Morton does a great job of bringing this series to life. I believe anyone that enjoys urban fantasy and/or books about shifters would really enjoy this series. The next journey of Missy is here! And I cannot get enough of her and her adventures. The narrator was good. Great voice. Allison writes in a style that reads almost like a journal or diary entries, but it somehow works for the action and characters. 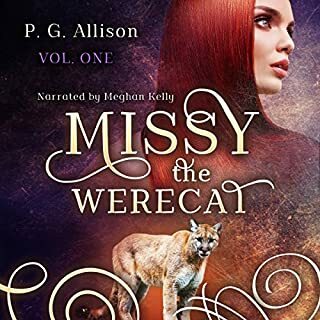 The description sounds almost farfetched, but Allison does a good job of being consistent in keeping with her world building, which makes the story work. I would rate this as UpperYA and older. Missy is more than just a student at West Point Academy. She’s a werecat and a witch, and works on special assignments for P Branch, the Supernatural arm of the U.S. Government. Her activities have developed her skills to include telekinesis, teleportation, invisibility, and manipulation of water and fire. Missy has a small group of friends and family in the know; and she has her soulmate Mike, who attends a different university, but who works with her whenever possible. It’s a new semester at West Point and she is assigned a new roommate, requiring additional subterfuge. Missy excels at her sports; befriends her roommate Karen and sets her up with a date who becomes her boyfriend. She is able to use her healing ability to help Karen’s mother, who has been diagnosed with cancer. She’s also called upon to investigate a cheating scandal. For her government, Missy routes terrorists; identifies a sleeper agent who becomes the mistress of a congressman; routes a group of Chinese mafia including several witches; and clandestinely assists our govt in helping the British shut down a terrorist cell. Allison makes it work, which is why this is my fourth book in the series. If I didn’t like it, I would not have read another. Consider giving this Supernatural action-adventure a chance. Morton has a good voice for this series and does a good job of narration. I love this series. A shape shifting witch, mountain lion, cadet at West Point, and fearless fighter of terrorists sounds like a lot to swallow but, somehow it all works. This is the seventh book in the Missy saga. You need to listen to them in order because each cleverly builds on the last one. I recommend this book as a great way to spend a snowy afternoon. I was given this audio book at no charge for an honest review. This was my first time listening to this author and narrator, I think both has done a great job. 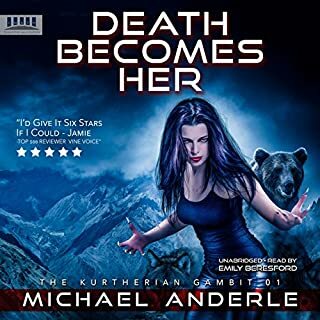 I started listening to this book, before I realised that it was book 7 in a series, typically now I have to listen to the 6 preceding this one and maybe there might be one after this? Was a very fun light listen, there is a lot of different characters in the book so at times I felt a bit lost, I guess If I met the characters from book 1 it might have made more sense, that didn't take anything away from the story and I still enjoyed it ALOT! This book was very good. It has a lot of action but is lighthearted and fun. This is another excellent book, with loads of strange happenings with loads of laughs on the way. P.G. Allison is a great writer and I really like Missy as a character and also the world we have crafter around her. We have plenty of great characters to compliment Missy and it's another really fun/great book to get engaged in. I think it has a great sense of movement in that something is always happening but it's easy and a pleasure to follow. 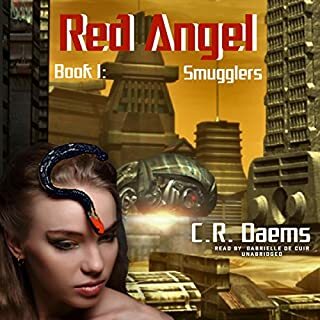 The story is great and you can read the synopsis for an overview rather than me giving spoilers. It ends well and we have the option for more - which is a good thing! 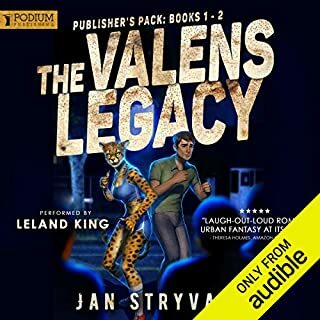 The narration is excellent and compliments both the characters and the story as well as being in general a voice I enjoyed listening to.